Phuket Golf Holidays is a Phuket based golf tour operator that has been providing tailor-made golf tours and golf packages to discriminating golfers from around the world since 2008. Our attention to detail, expert local knowledge and unrivalled first class service have made us one of Phuket’s leading golf holiday companies and we pride ourselves on creating high quality personalised Phuket golf packages at affordable prices. From a single round of golf to a group tour or golf society holiday Phuket Golf Holidays can create a golfing itinerary to suit every client’s requirements and budget. Our high amount of repeat customers and referrals is due to the reputation of our entire team. From our knowledgeable golf specialists who handle inquiries promptly and professionally to our experienced and courteous drivers who provide private airport and golf course transportation services by luxury mini-buses. With our renowned professional golf service you can rest assured that your golf holiday will be a truly memorable experience. Comprehensive choice of competitively priced golf and hotel packages. Please feel free to contact us for information on all of the Phuket golf courses and how to book golf in Phuket with Phuket Golf Holidays. No Booking Fees or Credit Card Payment Fees. 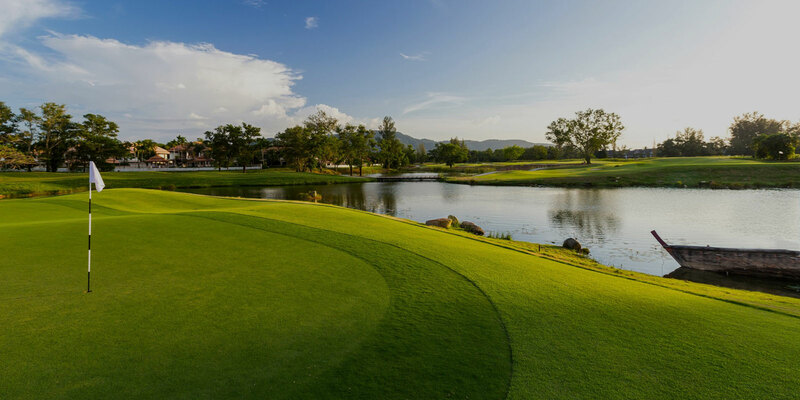 Our golf travel partners can create customized golf packages at all the top golfing destinations in Thailand such as Bangkok, Chiang Mai, Hua Hin and Pattaya. Their invaluable expert local knowledge, personal service, and attention to detail will ensure that your golf holiday suits your specific requirements and offers great value for money. 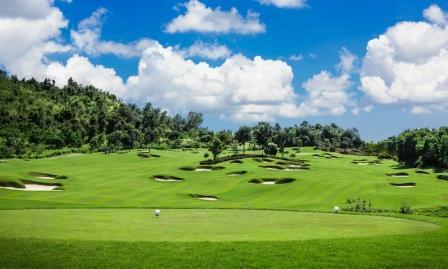 GOLF VACATION IN PHUKET - We had a perfect stay in Phuket arranged by Phuket Golf Holidays! Everything went on very smooth, all transports on time, with friendly driver that also did the check in on the golf courses. Suggested Hotel (Avista Grande) and golf courses (Red mountain, Phuket CC, Laguna and Loch Palms) were all very nice. Thank you David with staff for a well organized stay! FANTASTIC CUSTOMER SERVICE - From the moment I contacted David to the end of the weekend he always very prompt and accommodating to our requests. Transport from the airport and hotels were in a spacious mini bus. Drivers were excellent and very punctual. After our first round a emailed David to ask to move our pick up time forward which was done very swiftly even outside of working hours. We were able to pay the full amount on card when we arrived so no hassle with deposits. Next time we go to Phuket they will one of the first people I contact. GREAT PRICES & SERVICE The prices that they charged were a good discount from the walk-in guest green fees of the 2 golf courses we went. They did not request a pre-payment or a deposit. Accommodating to the last minute drop out of 2 of my friends (one no feeling well and another twisted her leg just before the trip). The transport that they arranged was in very good condition, and the driver was a friendly guy and punctual. Glad that I found they to arrange our golfs for this trip. EXCELLENT SERVICE. - A golf tour operator needs to provide, amongst other things, sound advice on courses to play, prompt replies to questions, fair pricing (better than you can secure on your own anyway), flexibility to accommodate unpredictable weather, timely local transfers, and friendly drivers who know their way around. David and his team understand all that and deliver!!! It was smooth sailing all the way. Thank you David. EXCELLENT SERVICE Highly recommend David and his team. We had to cancel one round due to the appalling weather and David responded quickly and accommodated it. The driver was on time and helpful and took care of our luggage while we played! Recently returned from a trip to Phuket to play golf with 7 friends. Had an absolutely superb time from start to finish. David was extremely prompt with any questions or queries I had leading into the trip. He was also very accommodating when on the trip with any changes I requested ie departure times, club hire etc. Our driver was fantastic for the three days we played golf. Extremely happy fella who was always happy to remain at the course until we were ready to leave after a few cold beers. He was also very punctual each morning. The three courses we played were upon David’s recommendation. They were Red Mountain, Blue Canyon and Laguna Phuket. All the courses were superb and very different to each other. The caddies at Red Mountain were by far the best in our experience in regards to course knowledge and friendliness. All 7 of our party were extremely impressed with all the courses and the service which we were supplied through Phuket Golf Holidays. 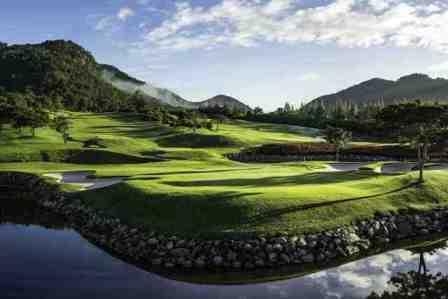 Booking through Phuket Golf Holidays made the experience very seamless and I would highly recommend them to anyone looking for a golfing holiday in Phuket. I would certainly use them again if I returned to Phuket for another golf trip. Thanks David for a wonderful golf trip to Phuket. Your speedy responses and your accommodation to my queries was greatly appreciated. So glad I had a second round at Red Mountain. All the courses you booked me into were great. Drivers were excellent and very punctual. Would certainly recommend your company to others. Dear David The whole holiday was exactly how you described it. The organisation was first class; very nice comfortable, safe transport; always on time and always kind and courteous. Courses were fantastic and a good mix of challenges. I'm really sorry that a European flu bug stopped me playing Red Mountain but I will be back for that one. Please pass on my sincere thanks to your team I travel the world and know when an organisation is right; I am pleased to recommend Phuket Golf Holidays. We arrived home last Friday from a wonderful 8 days in Patong, Phucket. Just wanted to drop you a short note to say thank you so much to you and your team for looking after us. From the time we arrived and were greeted by the smiling face of Mr Phongphat Kanthatip until when he returned us to the airport we were treated like royalty. This was my wifes first trip to Thailand, and she was so impressed with your friendly accommodating staff and the lovely vehicles that ferried us around the island to and from our Hotel to the various golf courses. Special mention also to Mr Nat Srisamut, who was the perfect host and driver to our golf days at Blue Canyon and Laguna. The golf courses were all fantastic. I've played all round Thailand, but the three courses we played were right up there. Red Mountain was very special. I look forward trusting our future Phuket Holiday experiences with 'Phuket Golf Holidays' in the future. You really provide a wonderful service, thank you so much. We have used Phuket Golf Holidays numerous times (I've lost count how many), and each time we have a group of about 4-10 players. David and his team have always provided excellent and responsive service and I will continue to use them, and I would encourage others too if they want a hassle free golf trip. Many thanks to all of the excellent and friendly team at Phuket Golf Holidays. This is the 3rd trip you've organised for us over the last 12 months, and they have all run really smoothly. It's like having a magic carpet to take you between airport, golf courses and hotel; so much more pleasant and convenient than a DIY transport arrangement. Will be booking another trip around August I hope! Just wanted to say thanks for organising the golf all went well. Was impressed with your drivers, the vehicles and the punctuality every day. The hotel was also very good for our trip as well. Red Mountain and Lock Palm are certainly very memorable courses, Blue canyon a good experience as well. Mission Hills held up well after the rain too. I will have no problem recommending you to anyone else and look forward to continuing an association in the future. I?ll definitely be back to play there again. We are all back from a wonderful holiday! Just a quick note to let you know that all went very well indeed! -- your staff are very polite, were always on time and very obliging! We take this opportunity to thank you and your team and trust we can do business with you again. Thank you David for arranging golf at Red Mountain. The service provided was professional and value for money. I wouldn't hesitate recommending phuketgolfholidays to others. Thanks to the team at Phuket Golf Holidays. Everything went very smoothly and your team were a great help. Will definitely be back next year. David, I just wanted to say thank you for sorting vans, green fees etc. for the recent golf trip I organized. We had a great time, the van was ideal and the driver (whose name has sadly slipped my mind) was fantastic -- courteous, good humored and couldn't have been more helpful. 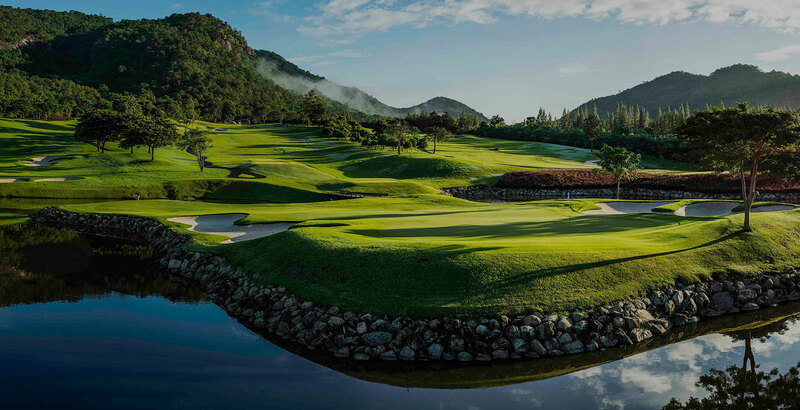 While my next trip is likely a year away, I suspect my father-in-law will be arranging a golf tour to Phuket in coming months for his HK golf gang and, if so, I will be steering him your way. Hi David, Thanks for all your help in making our time in Phuket a memorable experience. Everything was spot on and the drivers always on time. We enjoyed all the courses especially Loch Palm where the caddies were great fun. We are not sure where our next trip will be but if we return to Phuket we will have no hesitation in contacting you again. Dear Phuket Golf Holidays We would like to say a big thank you for organizing our golf holiday. We had a very nice time and all of your team were very helpful. Thank you and we will contact you when we come back next year. David, Just a quick note from myself and the rest of the group to say thank you for a fantastic time in Phuket. Right from the arrival at the airport to our golf days the driver was always on time and very helpful. The courses were great even if our golf wasn?t. The organization and professionalism of your team was second to none and we will recommend your company to our fellow golfers. Thanks very much and we hope to plan a return trip one day. Gooday David, Thanks for all your help in organizing our recent golfing trip to Phuket. The lads had a great time and were very happy with the hotel and golf courses you selected. Special thanks to the driver who was very helpful when checking in at the golf courses. Caddies were very nice and saved us a few shots especially at Red Mountain which was spectacular. Maybe planning a return trip next year and will be in touch for sure. Hi Phuket Golf Holidays, Back home now & just wanted to say thank you for organizing our golf holiday so well. Really enjoyed all the courses especially Red Mountain. Hope to come back soon and will definitely contact you again. Hi David, just want to say on behalf of myself and the crew what a wonderful time we had in Phuket. I must your arrangements were second to none, we were all very impressed with the way it all went, the van, the driver, the courses and hotel were great, and the cost was not outrageous. Your personal attention was very much appreciated by all the lads, well done. Just wanted to drop you a note to express our thanks for the organization of the trip. It was very enjoyable and well organized. Your staff including the drivers were very professional and had everything organized very well. They were also accommodating to some last minute requests so we had a really good time. We will certainly use your service again if we do go to Phuket. I was part of Michaels group that recently visited Phuket for a golf trip organised by your company. I just wanted to drop you a quick line to thank you and your driver for a wonderful experience. The courses were amazing, the service & hotel excellent, and I will definitely be coming back one day in the future. I would also recommend your company to friends & family in Australia. Good morning, were back in Australia, safely. I am glad that we booked with you as we found the whole experience great, the courses, the Hotel and you driver (zax) to be great, we are coming back next year and we will probably have a bigger group. David, Many thanks for your organisation of my golf holiday, I really enjoyed every aspect of it. It was made all the more enjoyable due to the excellent organisation of the itiniary. It was a pleasure to be driven to the golf locations by the lovely Mrs. Mouy. I have to say all the courses were of high quality but in particular Phuket Country Club really stood out for me. No doubt I will be back again and naturally I will be availing of your service! David, thank you for organising our golf in Phuket. Your service was fantastic from picking us up at the hotel to the hassle free booking in at each course. The courses you recommended where great, a special mention about the Red Mountain course which was fantastic, I am sure it will hold a major event one day. Your drivers where courteous and professional. I would have no hesitation in recommending your company for golf in Phuket. Once again many thanks from myself and my brother-in-law. Hi David, just a quick note to say thank-you for arranging our Accom, Golf -bookings, and transfers to and from our hotel, during the various golf days we played.. It was our first trip to Thailand. From the moment we arrived at the airport, we were picked up and transfered in air-conditioned transport to our hotel. Our subsequent golf days during our trip, and our transport to and from the courses all went without a glitch. Your services helped to take all the hassles out of having to arrange and book everything ourselves, meaning that we were able to concentrate on just enjoying our holiday. l have no reservations in recommending your services to anyone who wishes enjoy a hassle free holiday. Thanks again, and the personal service in meeting us at some of the courses was well recieved. Cheers . I just wanted to say a huge thank you to David and your staff for making our trip so memorable. It was a magnificent choice to come to Thailand and the welcome we received from its' people and yourselves was genuinely overwhelming. The courses were great with the new experience of caddies being an added bonus! Thanks again for your attention to detail and your efficiency from my first enquiry to our final round was fabulous. We have been on 19 previous tours, mostly in Europe and wanted to celebrate our 20th in style. We certainly did! I'm sure you could tell we enjoyed every minute, and whilst it may have been a 20th Anniversary, it certainly won't be another 20 years before we return. Until we meet again, I wish you and your business continuing success and I will certainly be recommending Phuket and your company to any friends would are considering a similar trip. Hoorah from The Victors! 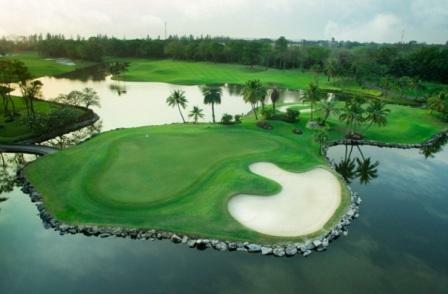 We took a 4 day holiday golf package with Phuket Golf Holidays. Very happy and satisfied with the arrangement. Queries were promptly answered. You have the option to choose your preferred hotel. We stayed at Phuket Island View Hotel at Karon Beach which is less commercial than Patong.It has good shopping and eating facilities nearby and nice beach across the road in front of the hotel. Played at Canyon Course and Red Mountain but buggy is not allowed at Canyon Course. Red Mountain is a beautiful course which offer dramatic view of the surrounding area.Will go back to Phuket Golf Holidays again but will choose a different hotel the next time around. Hi David, Regrettably we did not have the oppotunity to meet you and thank you personally for arranging our golf bookings, we were extremely satisfied with our arrangements and the way we were treated while in phuket, our appreciation to Geng and Boon who cheauffered us to the various venues. I will not use another agency for my golf bookings whenever i'm in Phuket, keep up the fantastic work guys and excellent standard. i cannot express how impressed we were with the service and competitive costs. We had wonderful golf-holidays that left no wish open. Perfectly organized! We will come back soon. Dear Davis. Still remember me? Thanks to your perfect support (Booking and roundtrip transfer), I had a really great round there. Next time I'll contact you when I go there again. To anyone who is interested in golf course of Phuket (Personal opinion) I've been to mission hill, blue canyon(Canyon course, Lake course), red mountain. Mission hill course was not that good than I expected. (Of course it has nothing to do with Davis, I just want to share my feeling about this course) Blue canyon and red mountain (maybe Loc Palm) are quite good. I played early in the morning (6:30am) alone and everything was perfect except my play was so poor (haha). Hope everyone have a happy round there and good luck to Davis!!! We would really like to thank you for making our golf holiday in Phuket perfect. Everything was to our complete satisfaction, and we really appreciated that we were able to get all our eight rounds on exactly the dates and teeoff times we wished for. The transport arrangement was spot on and our driver really took good care of us, ensuring at every golfclub that everything was in order before he left us. We have already decided to go back next year so be sure to hear from us again!! Hej David, You helpt us making our short stay in Thailand a perfect golf week. Evertything from pick up to return worked without any problem even if we booked only few days in advance. We got the tee off times we wanted at the courses we selected and we also appricated you meeting us in person to make sure we were satisfied. 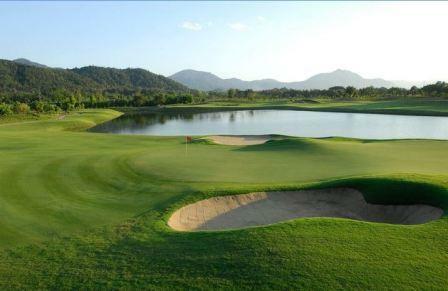 Our personal favorite was Luguna Phuket golf course with superb greens. We will for sure contact you again next time we come to the Phuket area. Back home in Austria's cold winter-days it is a necessity to me for thanking you once more for your perfect organisation. We all had great golf-days. All the best to you and your company! Thanks once again for arranging the vacation for us. The guys were all really chuffed and they were still praising many of the golf holes when we landed back in Bangalore last night. We will definitely be making another trip early next year and will let you know our plans. We managed to find James' clubs at Blue Canyon as well. Thanks again. We would like to thank you for the great service provided by your company and the dedicated driver that played a great part in making our golfing trip to Phuket such a wonderful experience. We sure certainly contact you again for all our future trips to Thailand. David, Just a quick note to thank you for the splendid arrangements that were made for our Golf Tour over the weekend. The guys have had nothing but praise for the way everything fell into place and the fact that they just had to turn up for the bus and get on the 1st tee ? and it went fairly seamlessly on each of the 3 days. (Judge) Gregor also noted how much time you took with us personally at each golf course ensuring that everything was in order. All the guys had a great time. As you could see from the Sunday afternoon ?court session? none of them were in any fit state to arrange anything so booking through you was a master-stroke. We will definitely be booking up through you the next time we tour in Phuket. In all likelihood we will probably get the hotel ? preferably Thara Patong as everyone thought it was a good hotel in a great location ? through yourself as this was the only hassle we had to go through. As much as everyone enjoyed Phuket Country Club we will probably avoid walking courses the next time cos? there were a few ?casualties? from Day 1. We will probably be having a mini-tour (10-12 blokes) sometime over the next 6mths and a full tour the same time next year again. Now that everyone has been sold on the idea, we?ll get T-shirts, etc made up too. Both courses are fantastic although for me the Canyon is too much of a challenge especially in thunderstorms. Still amazingly beautiful and just a privilege to be walking out in it. We would like to thank you for making the whole trip so smooth and well organised and it was especially good to have you there to meet and greet at the golf clubs. We had a great time in Phuket and would like to thank you for making our stay a pleasant one. The organisation of your company was second to none and we would certainly deal with you in the future. I have passed your contact details on to a couple of colleagues at work who may plan trips in the future. Everything went off very well. You can consider me a very satisfied customer who will recommend your services to anyone headed your way. We had a great time playing on both courses. Everything was organized to perfection and everyone looked after us and was good company. Next time we come out we will be in touch, hopefully a four next time. I found your service fast, efficient and good value. Top marks all round. You can quote me on that!